The Field hunter pad from Fleeceworks features a reinforced front under the rolled edge. This ensures that the sheepskin pad stays put during long hours in the hunt field. Bi-level sheepskin affords a good, one inch cushion and heat/moisture management under the panels. 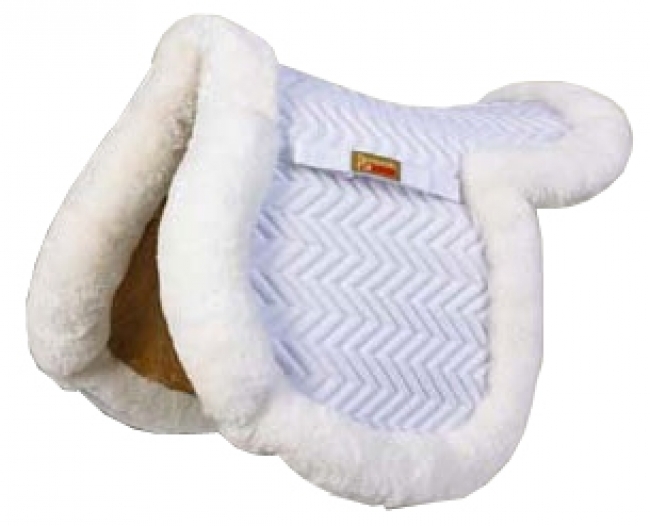 The one quarter inch sheepskin under the flaps offers close contact. Front pockets for inserts (shims not included) and velcro top line. You get a free Fleeceworks Baby Pad with the purchase of this Fleeceworks saddle pad!